Level Control box for well, with Schneider contactor and thermal. Shipping is only available for Continental Portugal and Autonomous Regions (Madeira and Azores). 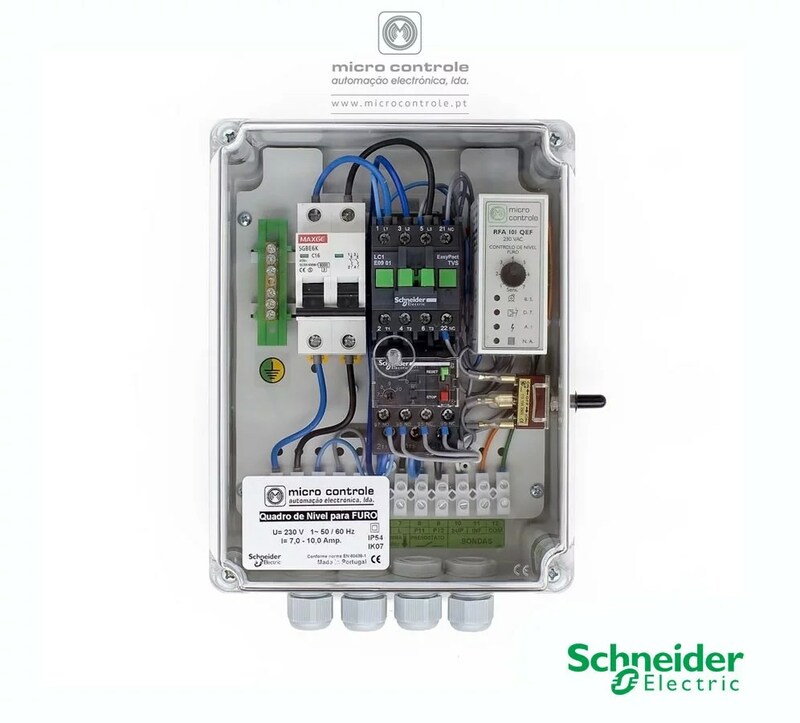 Level Control box used for control and protection of submersible water electric pumps used in the supply of pressurized water and in irrigation systems, with Schneider contactor and thermal. Make the connections with the switch on (off). Thermal adjustment according to the rated motor current. Switch the switch to automatic (aut). After contacting the P11 and P12 contacts, the contactor will arm when the water level reaches the upper level probe (green LED N.A. 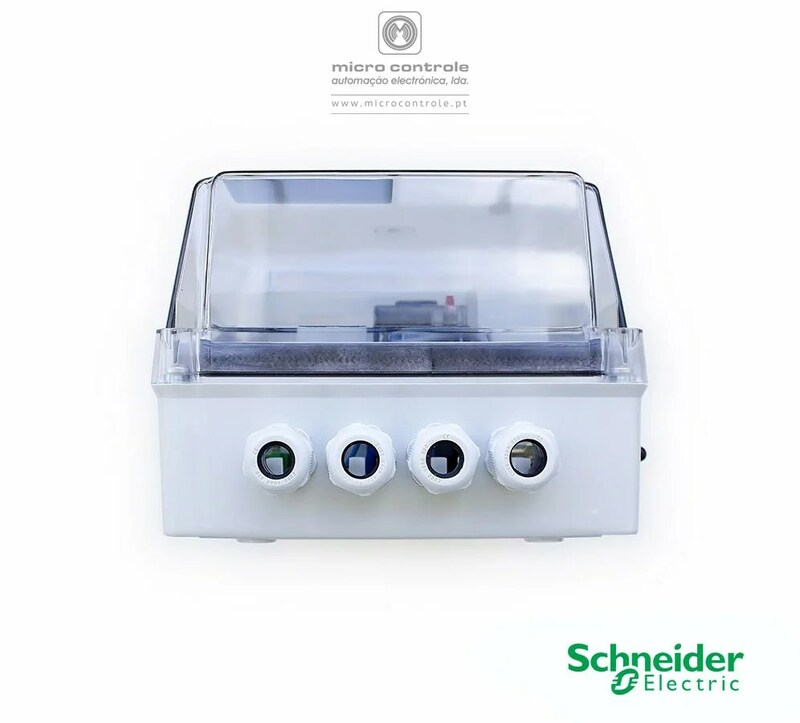 – high level), turns off when the contact pair P11 and P12 open, or if the level of Water goes down in addition to the lower level probe (it clears the green led – low level). 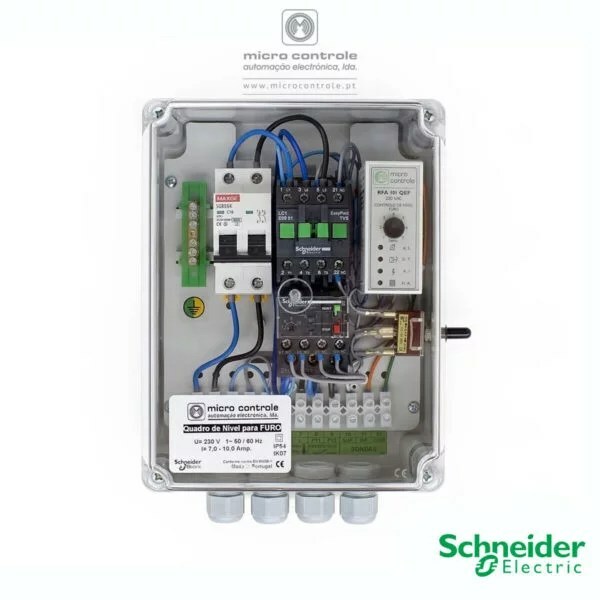 If the control circuit switch is in the manual (manu) position, the pump switches on regardless of the control status of the contact pair P11 and P12 and the level condition. In case of tripping of the thermal relay (overload), the pump switches off (red LED D.T. 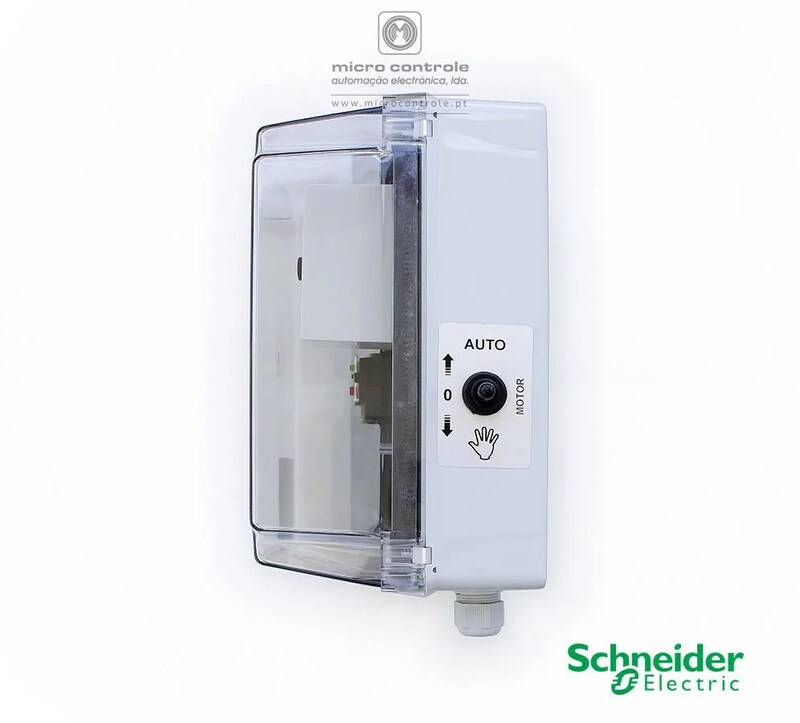 on the level relay), regardless of the information provided by any of the other controls. Note: The images shown may not correspond completely to the product described.